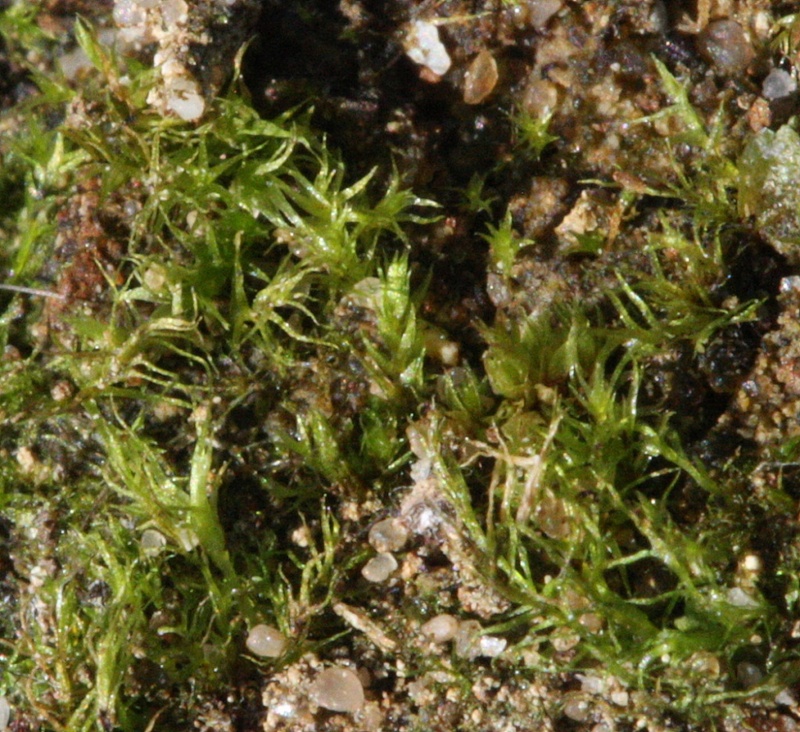 Leptobryum pyriforme has long (to 6 mm), narrow, widely spreading, shiny, yellow-green leaves with a wide nerve reaching the tip. Dark brown rhizoids, if visible near the base of the stem, are another useful diagnostic feature, as are the dark, purplish-brown or black, club-shaped tubers which sometimes occur in abundance. The shiny brown, narrowly pear-shaped, horizontal or pendent 1.5 to 2.5 mm long capsules are held on a seta 1 to 3 cm long, and are unmistakable when present. 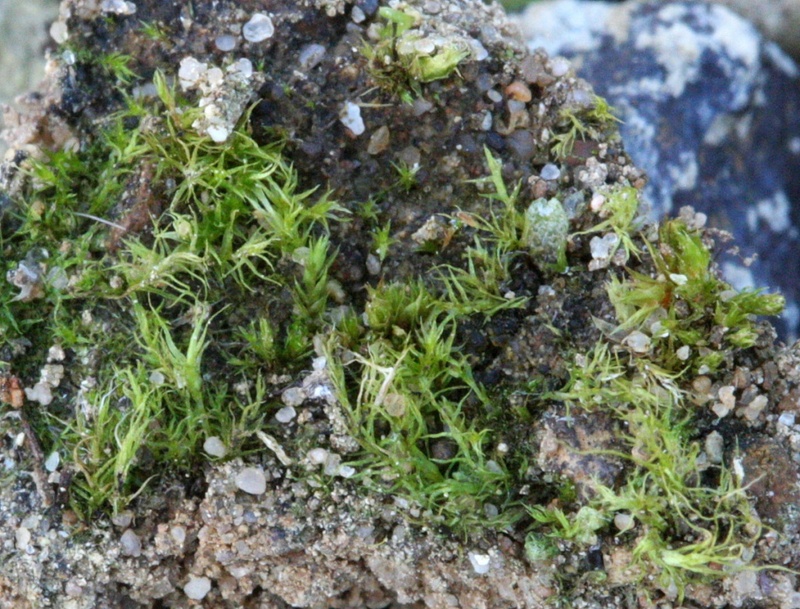 Perfect specimens seen in perfect conditions with a ×20 hand lens may reveal the red-purple axillary hairs, but this definitive character is too difficult to see in the field to be a practicable field character. In many areas, Leptobryum pyriforme is most easily found as a weed in glasshouses, but it occurs in a range of natural habitats, including arable fields, margins of reservoirs, sandstone blocks and cliffs in woods, and even in deep shade on logs in damp woods. Relatively resistant to aerial pollution, it also occurs on the mortar of brick walls in cities.